We will be celebrating 15th of this month as our Independence day, just a day before, our neighbor country Pakistan will celebrate their Independence day. While politicians of both the countries are pretty vocal about their enmity, younger generation are equally vocal about their love for neighbor country on social media. We come across tons of YouTube video and Facebook videos where India and Pakistan are seen praising each others. We came across one such video on YouTube recently. 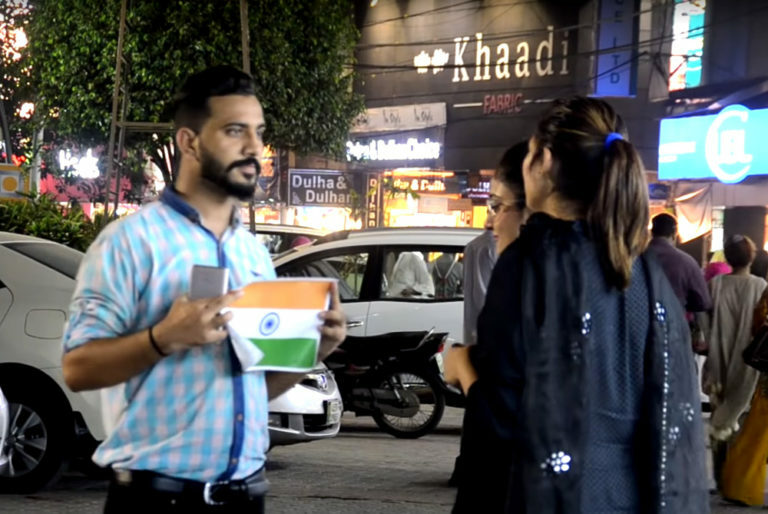 YouTubers at Pakistan’s YouTube channel LahoriFied carried out a social experiment ahead of India and Pakistan’s Independence day. They went on to streets of Lahore and asked people to tear Indian national flag in exchange of Rs.15000. But what people of Pakistanis did is quite surprising. How do you think Pakistanis reacted? Watch. Dear Pakistan, we love you too. No politician or media can change that.